Some of my fondest memories as a child was our weekend outings in the Moreletaspruit. No fear, no effort, just hours of fun exploring the spruit every weekend. I was privileged to grow up with the spruit on my doorstep, over weekends our group of friends would get together and head out on the trails. We’d go out on spruit missions, throw kleilat and climb the koppie at the local reserve. Over a weekend we would easily cover between 10 kilometers of trail going up and down the endless single track along the spruit banks. It probably won’t be the best idea to head out on the trails as an adult and expect to feel free as a child again. Don’t let nostaligia get the best of us here… reality is as the human body develops, unfortunately we need the fancy shoes, hydration and GPS. We still go on our trail outings to run, sprint, race and walk.. but we do it for personal reasons. The most important thing we can learn from our childhood experiences on the trails, the thing that I try to remember… and I still try to focus on everytime I hit the trails… we went on our spruit missions because it was FUN. We enjoyed running, sprinting, walking and exploring the trails. It was FUN. No pressure, no racing, no time limit… just the pure enjoyment of being out there. Why do you run trail? To push your physical and mental limits? To meet new people? To run on trails where you have not run before? To win the prize money and compete against the best? To run because it is FUN? Everyone has their own reasons to why they run trail. At the end of the day, if you want to prolong anything in life, it has to be FUN right? 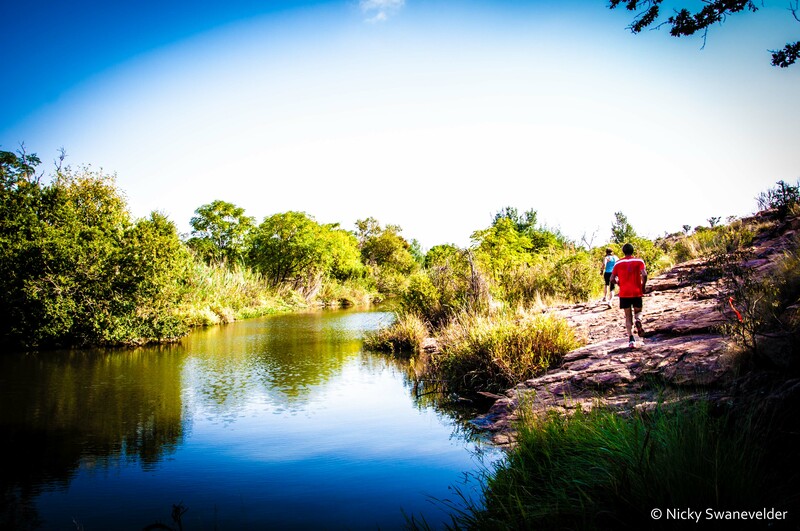 Next time you are out on the trails, let that inner child embrace the surroundings… let that inner child run free… only if it’s for 30 minutes trekking up the koppie before the painful descent.